There is a new fast food restaurant in town called Cookout. They were so busy for the first few months that I did not care to brave the crowds. But when I finally went, I realized what all the hype was about. It is really cheap. Plus, you can get 2 sides. Albeit small portions, but two sides nonetheless. 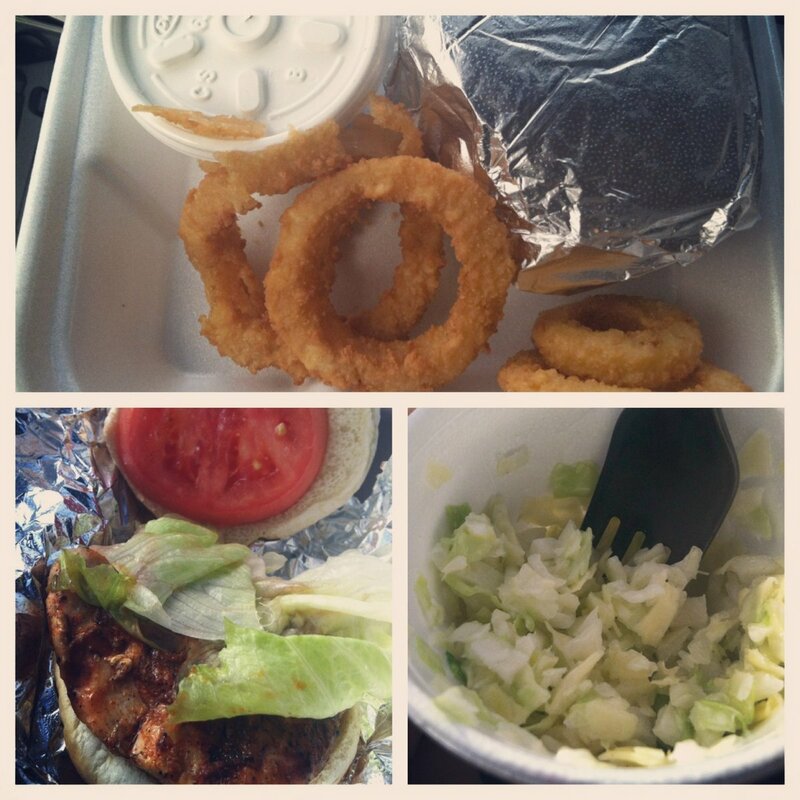 I ordered the spicy chicken grilled sandwich with sides (1) onion rings and (2) coleslaw. The combo comes with a large tea for less than $5. As you can see from the picture, the chicken sandwich was bun+meat+tomato+lettuce leaf. Nothing fancy. Nothing special. The bun was cold so I just ate the meat, tomato, and lettuce. I like toasted buns. I was a little annoyed that I only received 4 onion rings, but I guess that is about right for a small portion. The coleslaw was okay too. The whole meal was okay. Nothing spectacular BUT it was cheap. And there is always something to be said about a low cost meal. Cookout is supposedly known for their delicious milkshakes. I can vouch for those (even though I did not get a picture of it). I had a strawberry milkshake that was really yummy. It was almost as good as Chick-fil-a! And that is saying a lot. I recommend this place when you want something fast and cheap. Or if you have teenagers who eat a lot of food. We frequent Cookout a lot. It’s one of the few places that I can feed our family of four for about $20 and no one complains about still being hungry. My favorite is the BBQ sandwich (w/o the Texas Pete sauce).